From design and development to medical writing and online media planning, Kanga provides a one-stop shop for your digital delivery projects. We co-create digital solutions with patients, healthcare professionals and other stakeholders. All our projects begin with the user. Guts4Life is a resource for people with inflammatory bowel disease. Co-created with patients and launched on World IBD Day in 2014, this service is now rolled out across 14 countries world wide as well as a global website. It supports patients right through their journey with a symptom checker, help coping with the diagnosis, and a wellbeing tool and work planner to help patients live well with ulcerative colitis or Crohn’s Disease. 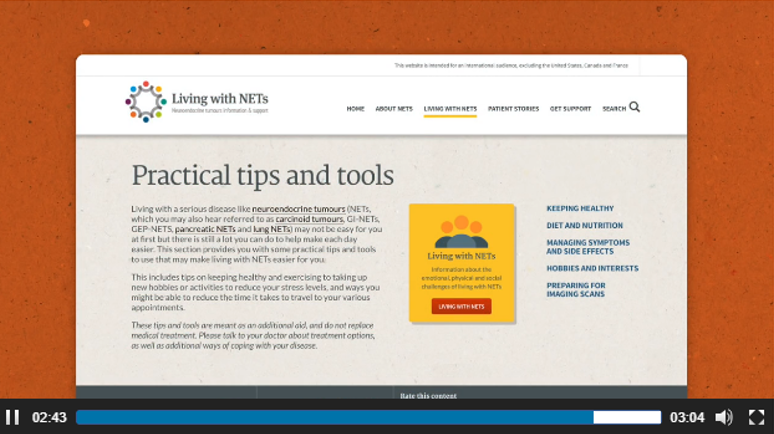 LivingWithNETs is a resource for people with neuroendocrine tumours. Working with patient and HCP experts, Kanga has developed content and services for the entire patient journey. There are resources and information on the site about the disease itself, how it’s diagnosed, how it’s treated and frequently asked questions. Much of the information is videos of patients themselves or healthcare professionals, answering the specific questions that patients have. Launched with a Thunderclap on World NETs Day 2016, this website is already a global standard for neuroendocrine cancer support. The GrowingUp website was produced in collaboration with parents of children with growth disorders to support patients and their families. It has information on diagnosis and treatment, and also about how to support your child with a growth disorder. Initially launched in 2015 the site is now available locally in 3 countries. Feel+ was designed for men going through hormonal treatment for prostate cancer. This service took a successful ‘paper-based’ support program online. 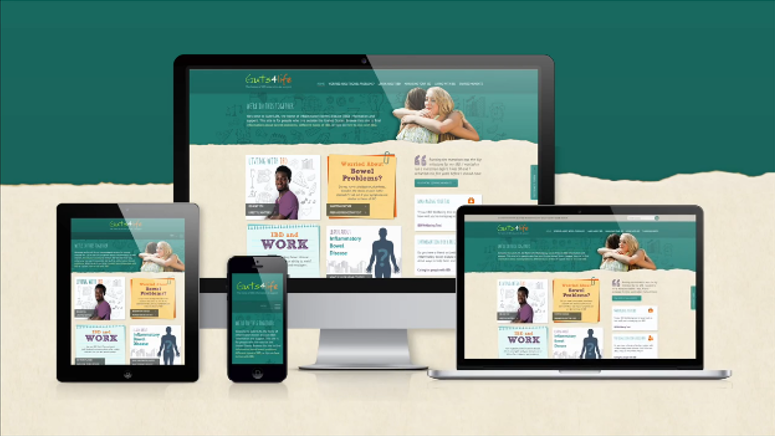 The website component of it gives advice to improve quality of life on hormonal therapy, including information on diet, exercise and general wellbeing. We worked with patients, urologists and nurses and their advice features on the site in video form. The service includes a Wellness Tracker app that patients can use to track clinical results as well as how they are feeling, their diet and exercise and general wellbeing. 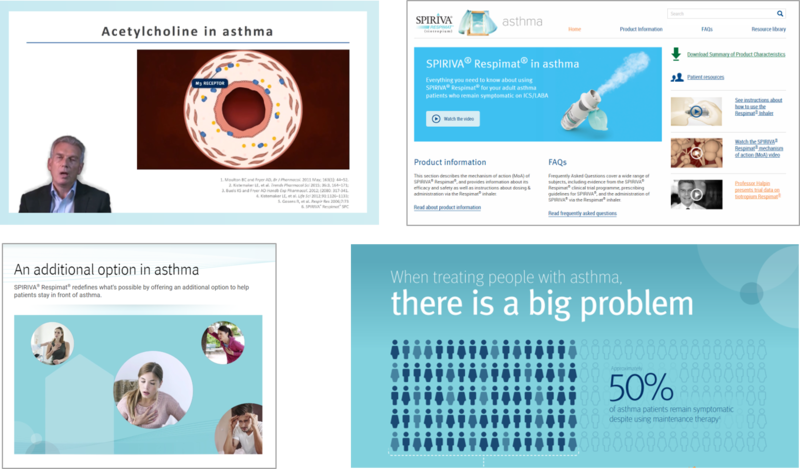 SpirivaGlobal.com/asthma is a product website for healthcare professionals seeking an additional option for their symptomatic asthma patients. Pfizer Together is a support program for rheumatoid arthritis patient who are taking Enbrel. It supports patients with timed interventions throughout the first year of therapy, and takes a successful ‘offline’ programme online.